‘SMALL but perfectly formed’ is the hook for the Chasewater Railway’s Industrial Gala on March 18-19 when steam and diesel locomotives of varying four-wheeled types take over the railway’s operation. 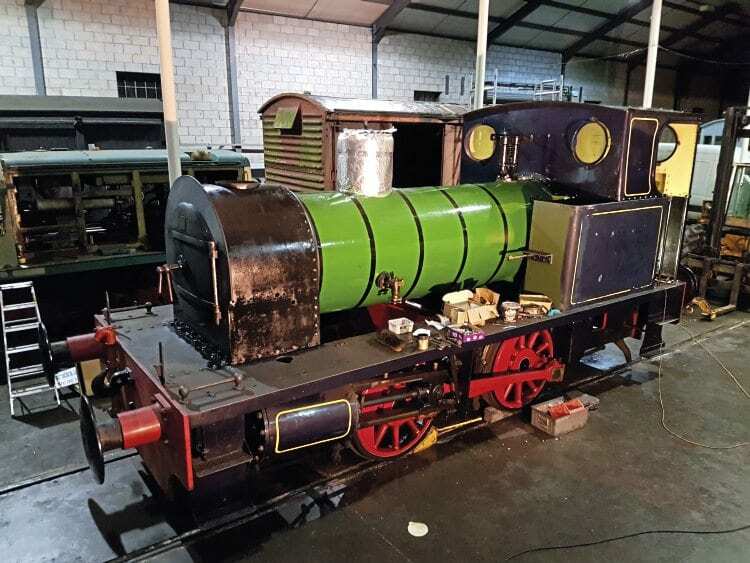 Chasewater’s steam operation will be largely reliant on its fleet of 0-4-0STs this year following the withdrawal for overhaul of Hunslet 0-6-0ST Holly Bank No. 3 at the end of December. However, the gala provides an opportunity for all to be in steam simultaneously and show what these plucky ‘Pugs’ can do. This event marks the final gala appearance of on-hire Andrew Barclay Rosyth No. 1 (1385/1914) at the railway before it returns to its Pontypool & Blaenavon Railway home at Easter. The former Admiralty locomotive has been on hire since July and will provide the mainstay of the Chasewater passenger services from when they resume on March 5 until it returns to South Wales.